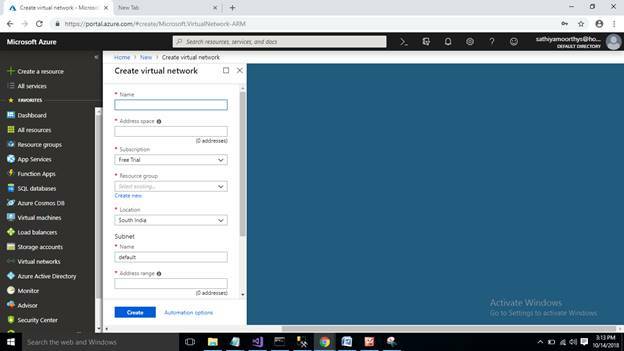 An Azure virtual network (VNet) is a representation of your own network in the cloud. 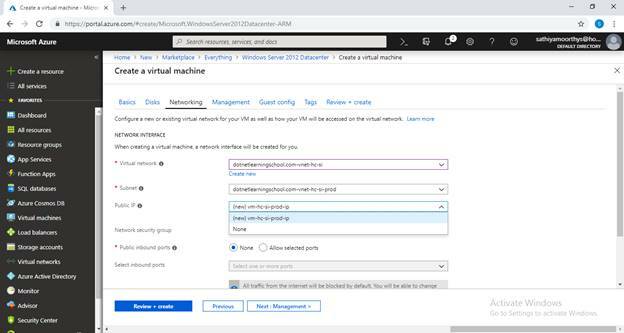 You can control your Azure network settings and define DHCP address blocks, DNS settings, security policies, and routing. You can also further segment your VNet into subnets and deploy Azure IaaS virtual machines (VMs) and PaaS role instances, in the same way, you can deploy physical and virtual machines to your on-premises datacenter. 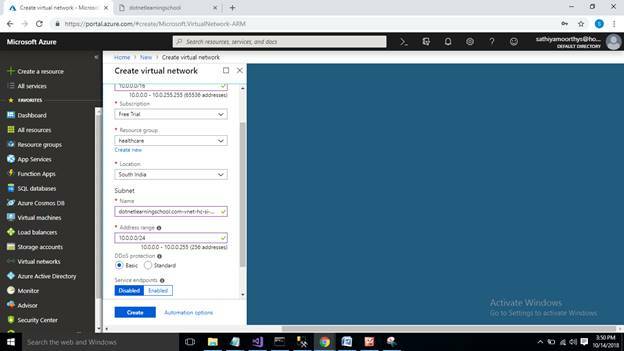 An Azure virtual network (VNet) is a representation of your own network in the cloud. 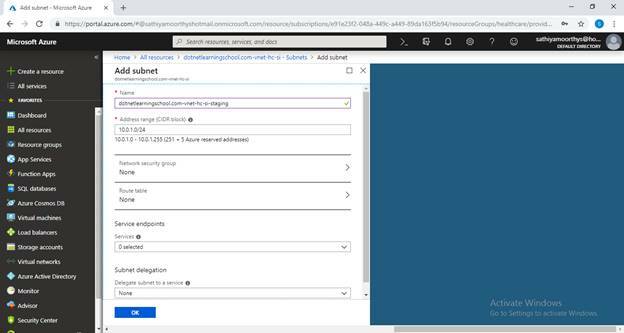 You can control your Azure network settings and define DHCP address blocks, DNS settings, security policies, and routing. You can also further segment your VNet into subnets and deploy Azure IaaS virtual machines (VMs) and PaaS role instances. In the same way, you can deploy physical and virtual machines to your on-premises datacenter. 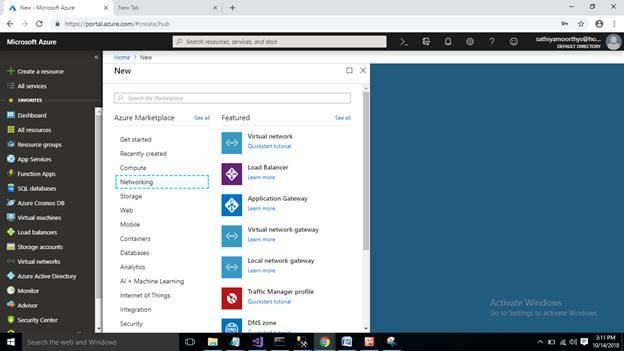 In essence, you can expand your network to Azure, bringing your own IP address blocks. 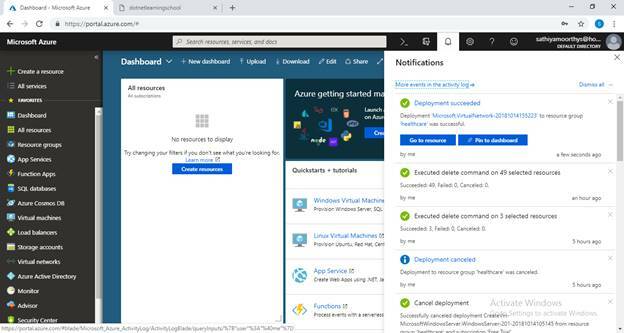 Login into Microsoft Azure (https://portal.azure.com) portal with your credentials. Click on the Create resource button on the left side blade. Select Networking Option and then Click on the Virtual network button. Enter the IP address for the above-mentioned vnet. Select yourAzuree subscription account as of now I am using “Free Trial” account. 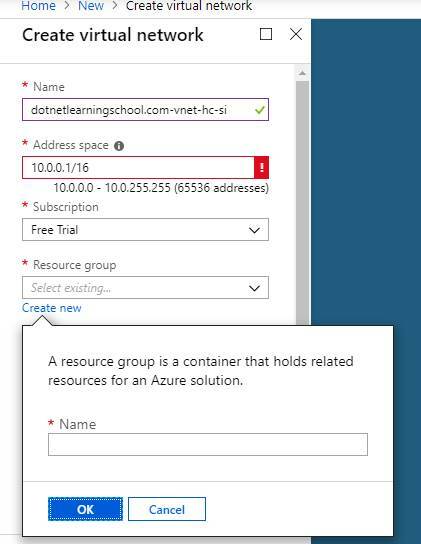 Create a new/select existing resource group. Enter the name for subnet and enter the IP address for the same. Once vnet is created we will be notified from the Notification Window. Then Click on the Go to resource button in the Notification Window or click on the All resources button in right side blade. Click on the All resources button on the right side blade, then you will get a list of resources. Click on any one of the vnets which are available in the all resource group section and we can check detailed information about the selected vnet/ particular item. Click on the Subnets button in the right side blade and then click on the Subnet button to create subnets for the selected vnet item. Click on the Create a resource button on the left side blade. Select Compute Option and then filter with windows server and hit enter. Choose Windows Server 2012 Datacenter and then click on the Create button. Enter virtual machine name “VM-hc-si-prod” and then select region. Select the size of the virtual machine and then choose a particular item from the list. If you want to set a private IP then select None in public IP section. If you want to enable RDP for the VM then set RDP port. Other tabs like Management, Guest config Tags Review + create can be the default option, then click on the Review + create. Create button will be enabled, once all the validation is passed and click on the Create button to create VM.